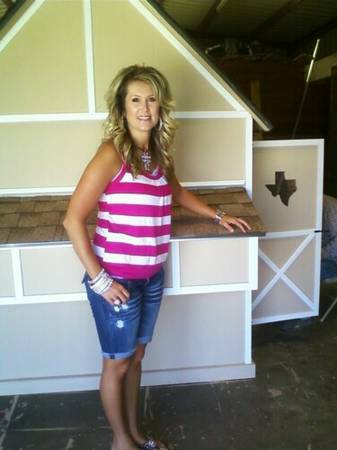 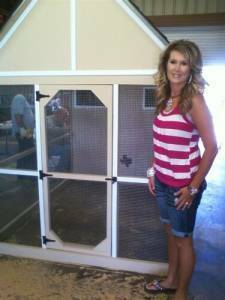 Texas Chicken Coops a hands on master designer and builder of unique and posh pet, bird, and fowl homes-coops for mans best friend! 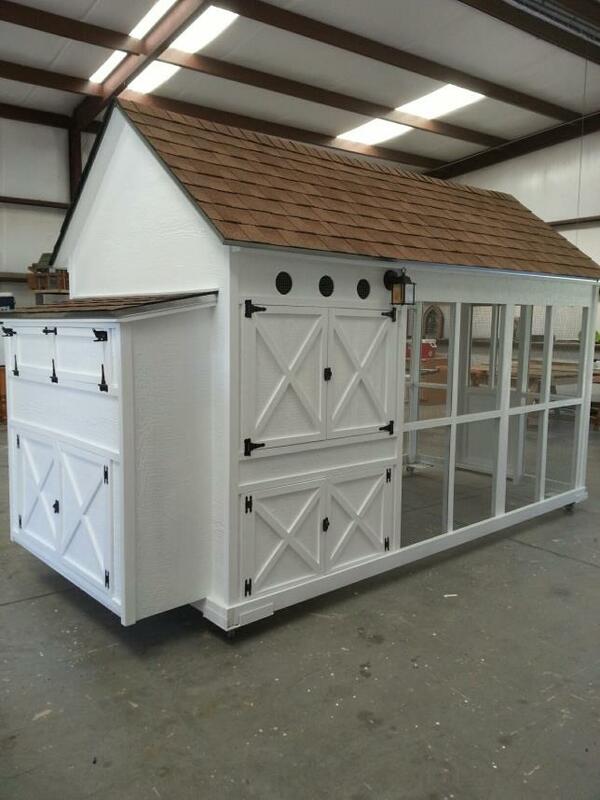 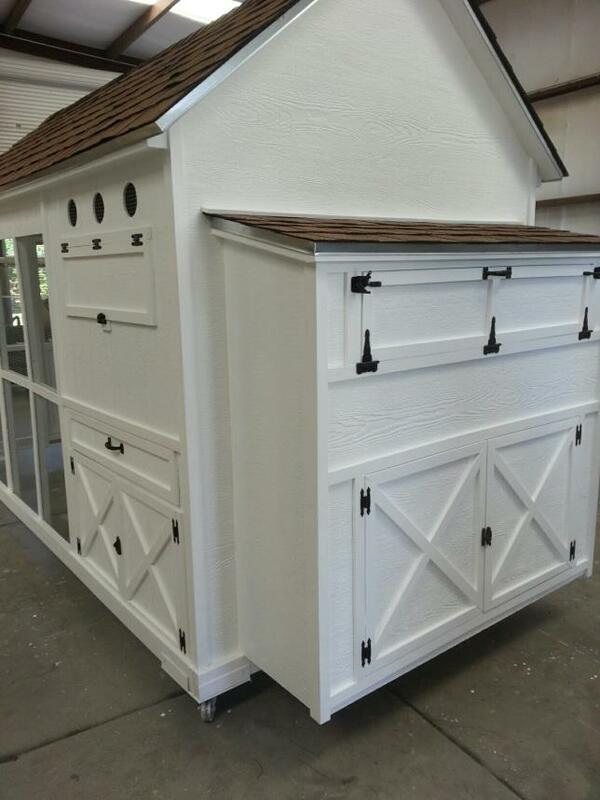 We can have this beautiful custom tin roof made for any coop of your chioce! 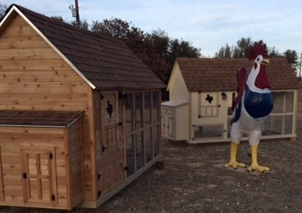 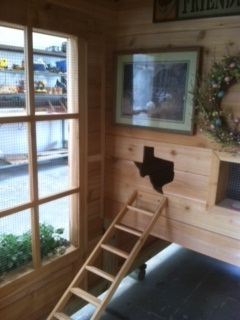 Our Texas "Ports View" coop is made for the elite families who pamper their feathered pets. 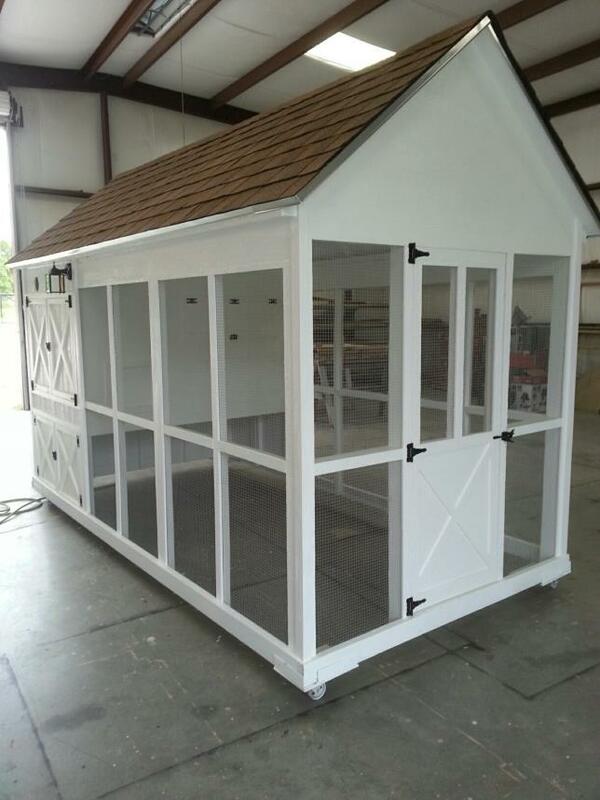 This quality henhouse inspires the backyard chicken farmers! 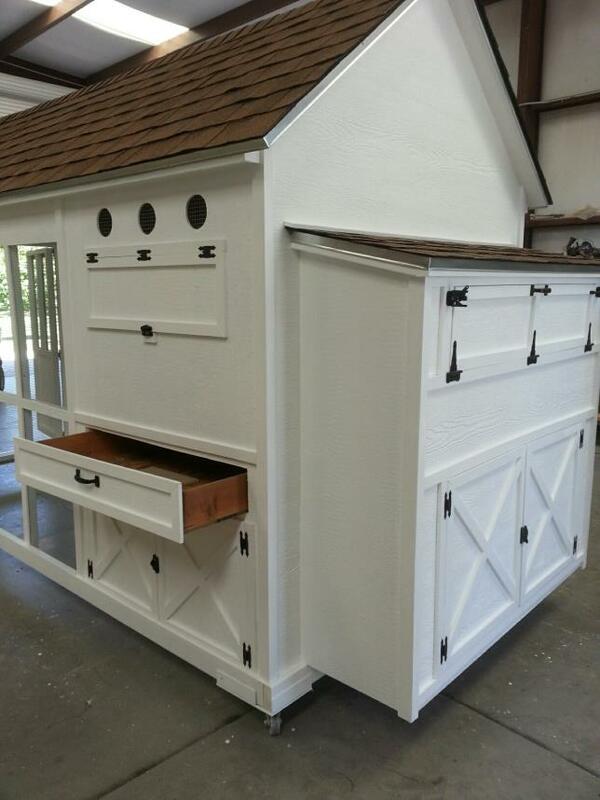 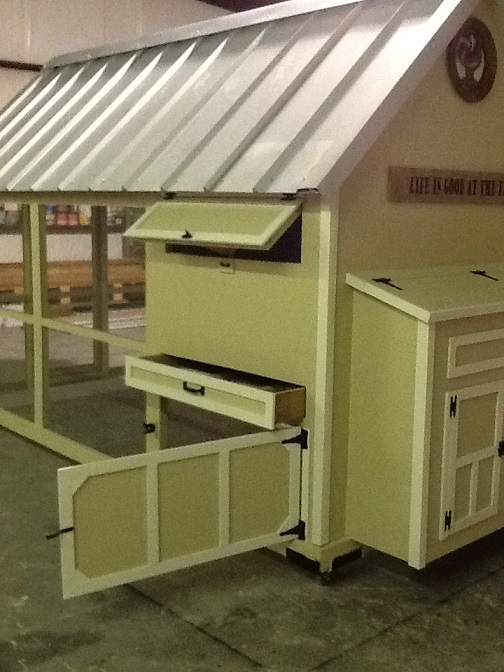 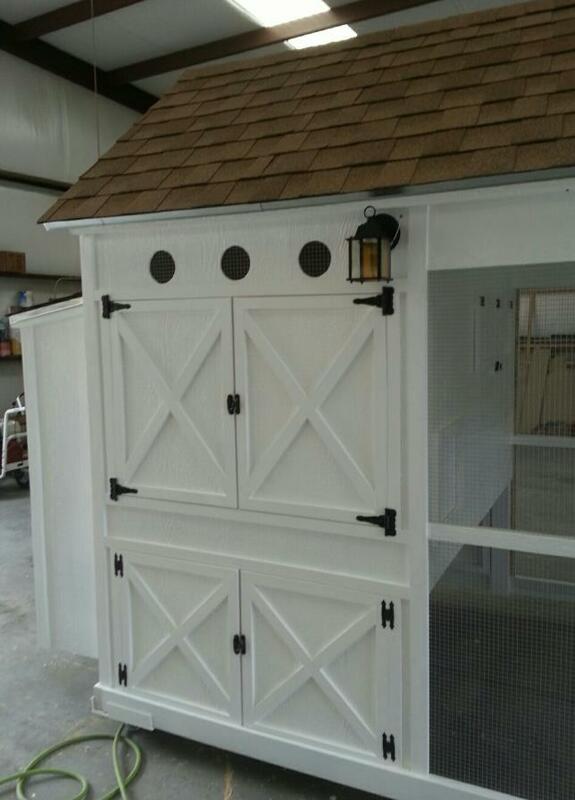 We build quality chicken coops that makes collecting Farm Fresh Eggs Easy & Fun ! 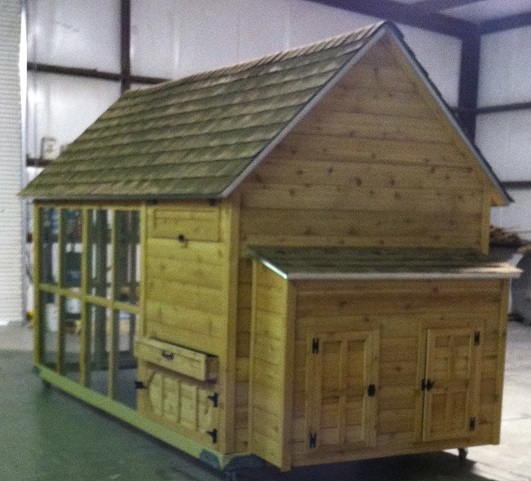 Allow 2-4 weeks delivery or you may ship or pick up. 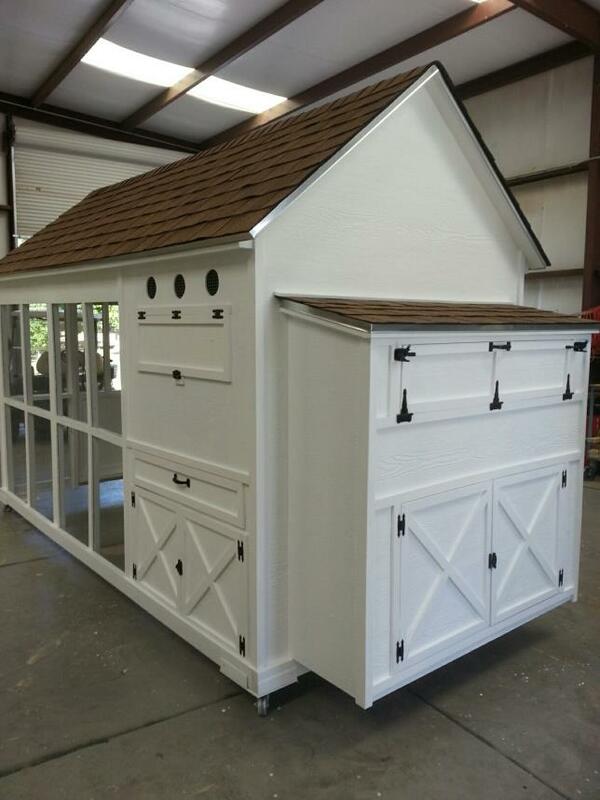 We only deliver on weekends - No Holiday or rainy day delivery - Call if delivery is more then 300 radius.of Granbury TX or out of state we need to arrange for delivery fee or shipment fees. 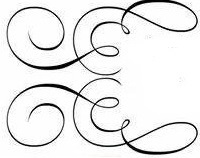 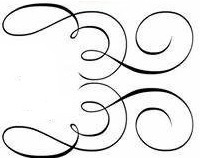 There is a credit card transaction fee of $100.00 that will be added to coop cost.